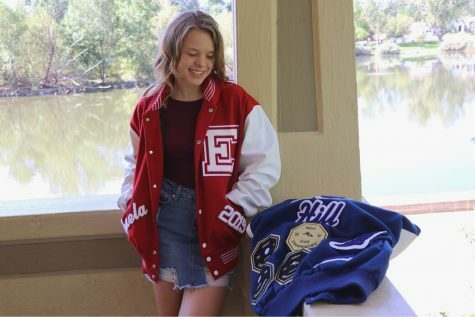 Michaela Hill started her journalism journey at Platte Valley High School, when she transferred her skills to join the Eaton Red Ink staff in 2018. Michaela enjoys writing sports stories and creating live twitter feed updates throughout games to keep our followers involved in all the action. She spends most of her time attending sporting events to get all the details. After the event, you can be guaranteed a story covering the game. Michaela is the Sports Editor of the Eaton Red Ink and spends her time in the news room approving all of the staff sports coverage stories. She is a three sport athlete that competes in volleyball, basketball, and track. Once graduated, Michaela will be attending Chadron State College in Chadron, Nebraska to compete for their track and field team. You can usually find Michaela partnered side by side with Media Editor, Noelle Meagher, at any and all athletic events.